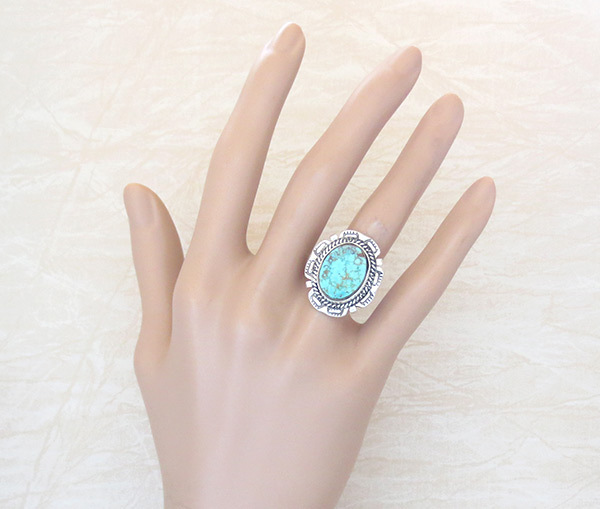 This lovely ring is a size 7 and was created by Navajo Artist Augustine Largo. 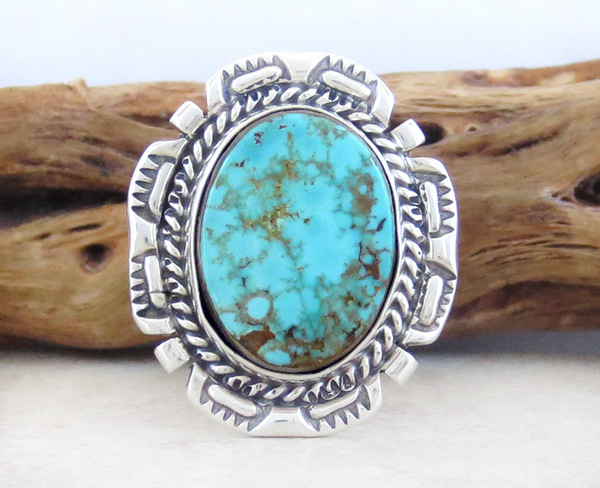 you can see the bottom of the turquoise cab. so I'm marking it at cost. 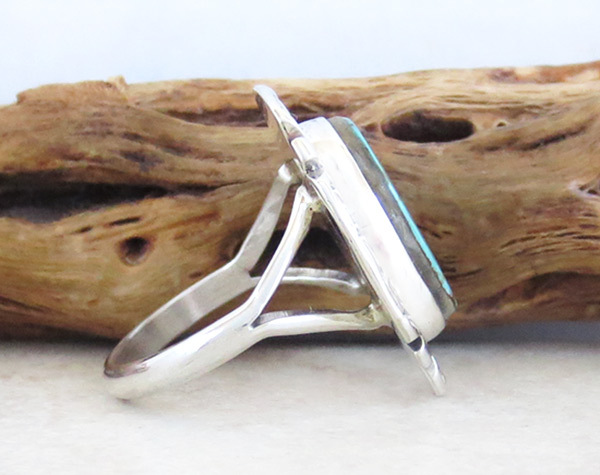 The turquoise stone is sky blue with light to dark gold. Surrounding the stone is twisted silver wire and stamp work. It's stamped sterling and signed AL. 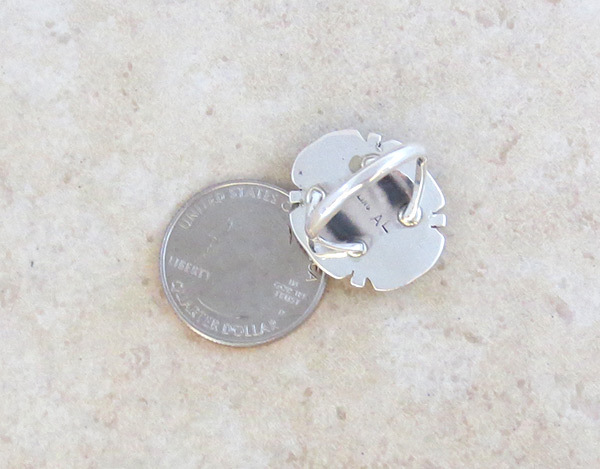 It measures 7/8" tall by 3/4" at it's widest point. Weight: 6.1 grams on my scale.